Eggs, meat, milk, wool, fur, feathers, and some priceless bucolic bliss. No hobby farm is complete without critters…possibly a small herd peppering the field or a microflock flapping around the hen house or pond. A single information-packed volume with everything a hobby farmer needs to know about farm animals, this new comprehensive manual to selecting, caring for, and breeding livestock brings forth the expertise of six hobby farmers, each of whom has real-life on-the-farm experience with the animals she discusses. Whether you’re contemplating adding a small herd of sheep or goats to your existing hobby farm or you’ve always wondered about the benefits of raising angora rabbits or Muscovy ducks, Livestock for Your Hobby Farm provides the kind of guidance you need to begin a herd or flock and expand your pens and fencing. 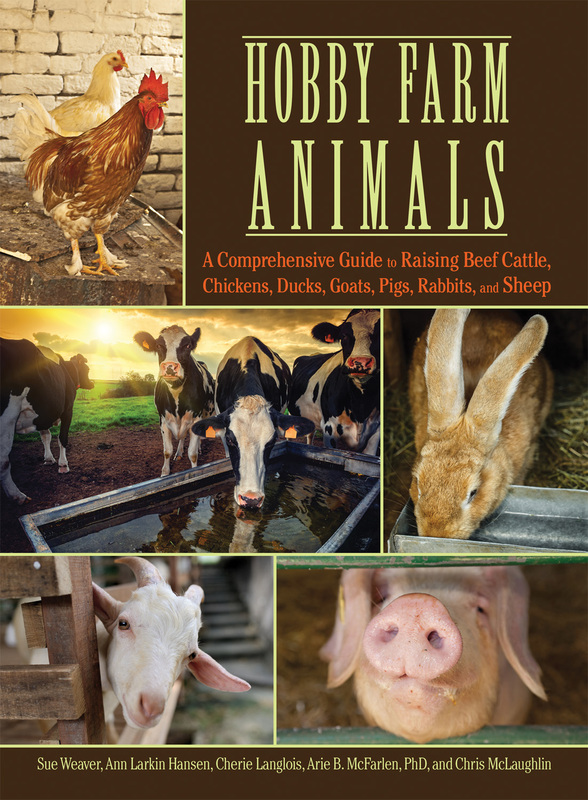 With exhaustive detail, the authors offer complete coverage of chickens, ducks, goats, sheep, cattle, pigs, and rabbits, including the housing, health-care, special needs, advantages and challenges of each.